OBJECTIVE: The aim of this systematic review and meta-analysis is to quantitatively compare previous studies that evaluated skeletal and dentoalveolar effects of the ForsusTM Fatigue Resistance Device (FRD) in the treatment of Class II malocclusion with a matched untreated control group. MATERIALS AND METHODS: Four electronic searches PubMed, Web of Science, Cochrane Library, and Science Direct that were limited to articles on human studies comparing the effect of Forsus appliance with a matched control group in the treatment of Class II malocclusion from the year (2000–2017). An additional manual search was carried out by examining the references of the included articles, SEARCH terms included; Forsus and Class II malocclusion. 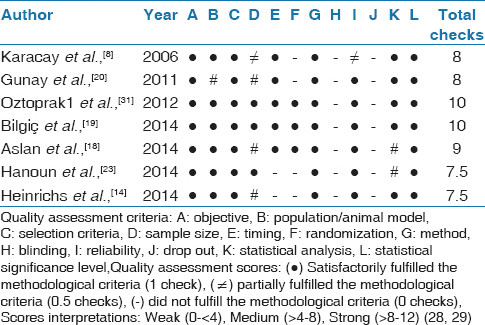 The quality of the included studies was assessed using the modified methodological score for clinical trials. The data were analyzed using Michael Borenstein's Comprehensive Meta-Analysis Software (V3.3.070, Biostat, Inc., US). RESULTS: Seven studies were included comprising 273 participants (Forsus group = 142; control group = 131). The results indicated a statistical significant skeletal effect of the Forsus appliance on increasing the occlusal plane only (P < 0.001). The results also indicated a statistical significant (P < 0.001) dentoalveolar effects of the Forsus appliance on the following outcomes; protruding, proclining, and intruding lower incisors; retroclining upper incisors, distalizing and intruding upper molars, as well as reducing overjet and overbite. CONCLUSIONS: The ForsusTM showed positive effects on the maxillary incisors and first molars as well as overjet and overbite. However, multiple negative effects were reported on the occlusal plane and lower incisors that need to be considered when using such appliance in treating Class II malocclusion. The correction of Class II malocclusion is one of the most challenging problems facing the orthodontists. Class II malocclusion is not a single diagnostic entity,, but rather can result from various skeletal and dentoalveolar components, thus, affecting the functional and facial esthetics of the patients. The facial esthetics play a major role in both the objective and the subjective perceptions of beauty, therefore, its correction is a major treatment concern when managing Class II cases. The Forsus appliance is a semi-rigid appliance made of superelastic nickel-titanium coil springs which is similar to the Jasper Jumper appliance and not like the Herbst appliance which is a rigid appliance., A further in-depth analysis of the effect of Forsus  and Herbst , appliances on mandibular growth was assessed using magnetic resonance images. Aras et al. found that the Forsus appliance have only a limited effect on mandibular growth which becomes negligible with age. The Forsus appliance was also found to have less adverse effect on the physiologic disc-condyle relationship  when compared to the Herbst appliance at the long-term. They explained that such differences between the Forsus and Herbst appliances could be attributed to the differences in the rigidity of the appliances. The Forsus appliance is one of the most commonly used fixed functional appliances nowadays. Despite the multiple studies that assessed its skeletal and dentoalveolar effects,,,,,,,,,,,,, a definitive finding on its actual role in correcting class II malocclusion as well as its adverse effects have not been concluded yet. The objective of this study was to conduct a systematic review with meta-analysis assessing the skeletal and dentoalveolar effects of the Forsus appliance compared to a matched untreated control group. The findings of this study can help orthodontists in proper patient selection when using such appliances. To identify orthodontic articles that reported on the use of Forsus ™ Fatigue Resistant Device (FRD) for the management of Class II malocclusion, a literature search was performed using multiple approaches. First, a literature database using the PubMed/MEDLINE, Web of Science, Cochrane Library, Science Direct, and Google Scholar was used. Bibliographic searches using the “Related Articles” function in PubMed to locate lists of articles consulted was also used. Published work for individual authors who have worked with the Forsus appliance was also explored. An additional manual search was carried out by examining the references of the included articles. Finally, a full text sources available on the Internet for the American Journal of Orthodontics and Dentofacial Orthopedics, European Journal of Orthodontics, and The Angle Orthodontist were searched to validate that the search had identified all relevant articles. The terms used for searching the databases were “Forsus and Class II malocclusion”. The chosen articles were restricted to peer-reviewed articles and only studies that reported the effect of Forsus appliance on Class II treatment were included. The inclusion criteria were the followings: (1) Published in English language. (2) Publication date: from 2000 up to December 2017 inclusive, at which data analysis for the current study was conducted. The purpose of date restriction is to provide the latest recommendations in this field. (3) Human studies. (4) Pertained to the use of Forsus ™ FRD appliance used for the management of Class II malocclusion. (5) Treatment was carried out using the Forsus appliance with fixed orthodontic appliance only. (6) Both prospective clinical trials including randomized and undefined randomization studies as well as retrospective controlled studies were included. (7) The included studies should have a matched control group. (8) Sample size mentioned (minimum 10 patients). (9) Age ranges and mean age at the start of treatment were mentioned (range is below 18 years old). (10) Measurable cephalometric values for pre-treatment (T1) and immediately after active Forsus treatment (T2) were reported. (11) Cephalometric findings of a matched control group at similar T1 & T2 periods were reported as a comparative group. (12) Sufficient data were presented for statistical calculations (mean and standard deviations for each measurement presented). (13) Results of multiple articles reporting on the same patient group were only considered once. The most informative and relevant article was selected for inclusion. The exclusion criteria included articles related to the following: (1) Systematic review or meta-analysis. (2) Studies conducted on Class II subdivision cases. (3) Articles including other appliances used concomitantly for the correction of Class II malocclusion such as the use of absolute or bony anchorage (e.g., mini plates and mini screws). (4) Case reports. (5) Case series. (6) Review articles. Two orthodontists, who are the authors of the article, were calibrated to use the review process adopted in the present study. The articles were first selected based on the abstract, and then the full text was retrieved when one or both reviewers accepted the abstract or when the title and abstract did not provide sufficient information. The two reviewers then independently performed the final selection of included articles. Any disagreement between the reviewers were resolved through discussion until consensus was accomplished. The quality of the included studies was assessed using the modified methodological score for clinical trials, developed by Lagravere et al. and modified by Sharshar et al. The current study was also assessed according to the GRADE recommendation assessment scale. From the identified studies, data were collected for the following skeletal measurements; maxillary skeletal changes (Sella-Nasion-A point angle, SNA, difference), mandibular skeletal changes (Sella-Nasion-B point angle, SNB, difference), maxillary/mandibular skeletal relationship changes (A point-Nasion-B point angle, ANB, difference), skeletal vertical changes (mandibular plane angle, MPA, difference), and changes in the occlusal plane angle. The following dentoalveolar measurements were also collected; maxillary first molar horizontal movement and vertical movement, upper and lower incisors' mesial movement, upper and lower incisors' mesial tipping, upper and lower incisors' vertical movement, and changes in overjet, overbite, and interincisal angle. The maxillary first molar distal tipping was not reported in most of the studies included and thus was excluded as a variable to be assessed in the current study. From the collected data, changes in the anteroposterior and vertical skeletal and dentoalveolar growth were assessed. In order to account for growth changes, similar data of a matched control group from the included studies were collected as the comparison group. The data were analyzed using Michael Borenstein's Comprehensive Meta-Analysis Software (V3.3.070, Biostat, Inc., US). With the use of the random effects model, Forest plots were drawn, as well as the mean and confidence interval values calculated, and significance tests carried out. The significance level was set at (P < 0.05). The results of individual studies were thus statistically combined into a single outcome measure. The original search located 61 articles. After abstract revision, 21 articles assessed the skeletal and dental effect of the Forsus appliance in the correction of Class II malocclusion and did not use any concomitant anchorage approaches. Those articles also fulfilled the criteria of study design and language. After full-text review, the articles that met all the inclusion criteria and contained relevant and sufficient data for the aim of this study with a matched Control group were further narrowed down to 7 as shown in [Figure 1] and [Table 1]. The other 14 articles were excluded for reasons as shown in [Table 2]. The seven ,,,,,, included studies were comprised of a total of 273 participants distributed as follows; the Forsus group consisted of 142 patients (64 F, 78 M) and the Control group consisted of 131 patients (67 F, 64 M). The reported mean age at the start of treatment was 13.10 ± 1 year 3.5 months; in the Forsus group it was 13.37 ± 1 year 3 months and in the Control group it was 12.82 ± 1 year 4 months. 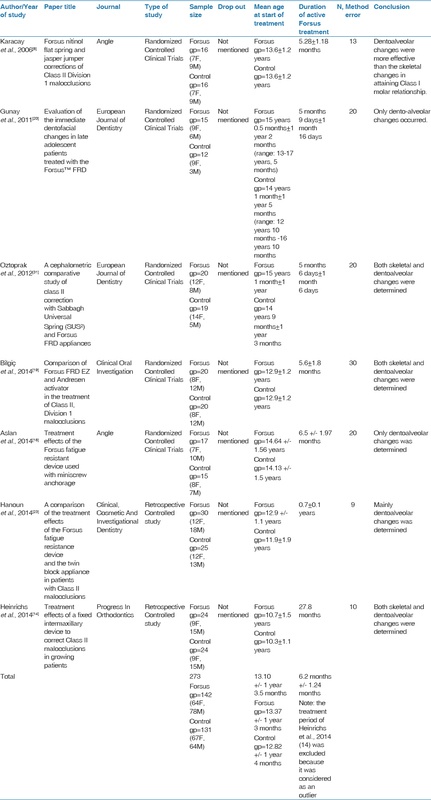 The average active Forsus treatment duration was 6.2 months ± 1.24 months [Table 1]. The study consisted of four randomized controlled clinical trials and two retrospective controlled clinical trials [Table 1]. The quality assessment of the included studies revealed that four studies were considered medium and three studies were considered strong [Table 3]., According to the GRADE recommendation assessment scale; results of this study implies a moderate-strong level of recommendation. The Forsus effect on the maxilla, as indicated by changes in SNA angle, shows no statistical significance at the study level except for one study (P < 0.001). 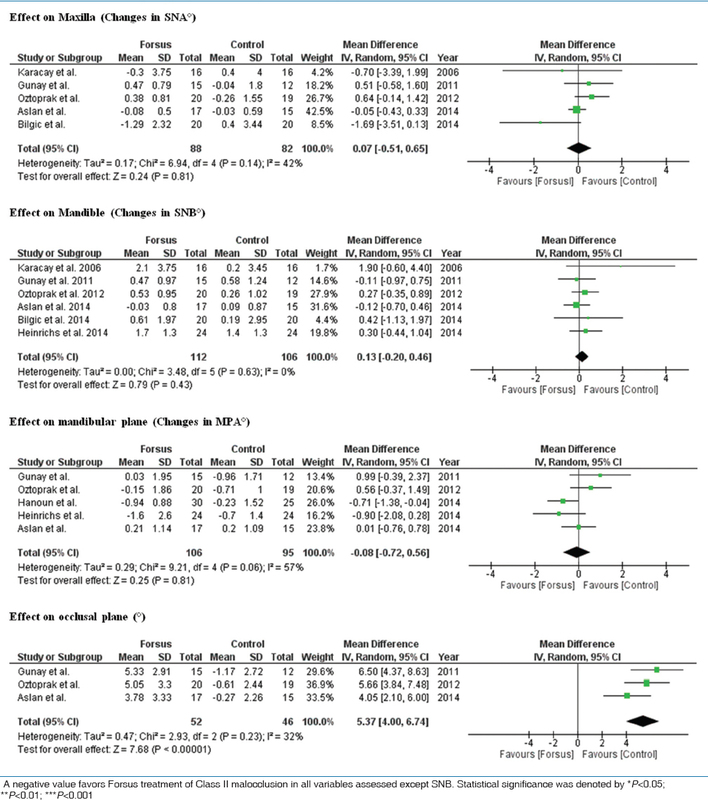 No statistical significance was also found at the meta-analysis level (P > 0.05). This indicates that Forsus appliance significantly have no effect on the maxilla [Table 4]. The Forsus effect on the mandible, as indicated by changes in SNB angle, shows no statistical significance at the study level (P > 0.05) as well as at the meta-analysis level (P > 0.05). This indicates that Forsus appliance have no significant effect on the mandible [Table 4]. The Forsus effect on the maxillary/mandibular relationship, as indicated by changes in ANB angle, was not assessed as studies showed extremely varied results and their assessment was not applicable in the current study. The Forsus effect on the mandibular plane, as indicated by changes in MPA angle, shows no statistical significance at the study level (P > 0.05) as well as at the meta-analysis level (P > 0.05). This indicates that Forsus appliance have no significant effect on the mandibular plane [Table 4]. The Forsus effect on the occlusal plane, as indicated by changes in the occlusal plane angle, shows a high statistical significance at all study levels (P < 0.001) as well as at the meta-analysis level (P < 0.001) in the positive direction. This indicates that Forsus appliance have a significant effect in increasing the occlusal plane angle [Table 4]. The Forsus effect on the lower incisors, as indicated by horizontal movement, tipping, and vertical movement of lower incisors, shows a high statistical significance at all study levels (P < 0.001) as well as at the meta-analysis level (P < 0.00001). The total effect was in the positive direction for horizontal movement and tipping, and in the negative direction for vertical movement. However, the effect of Forsus appliance on lower incisors' tipping showed moderate heterogeneity (I 2 = 55%) [Table 5]. The Forsus effect on the upper incisors, as indicated by horizontal movement, tipping, and vertical movement of upper incisors, shows a statistical significance at all study levels (P < 0.05). While at the meta-analysis level, a statistical significance was only found in the tipping movements (P < 0.00001) with no significant difference in the vertical movement. The total effect was in the negative direction for the tipping movement. However, the effect of Forsus appliance on upper incisors' horizontal movement showed high heterogeneity (I 2 = 87%) and thus was not assessed in the current study [Table 5]. The Forsus effect on the maxillary first molars was assessed in the vertical and horizontal movements. The results showed a statistical significance in the horizontal movement at all study levels (P < 0.05) and in the vertical movement in four study levels.,,, A high statistical significance was also found for both movements at the meta-analysis level (P < 0.0001). All effects were in the negative direction [Table 5]. The Forsus effect on the overjet was assessed. The results showed a statistical significance in six study levels (P < 0.05).,,,,, A high statistical significance was also found at the meta-analysis level (P < 0.00001). All effects were in the negative direction [Table 5]. The Forsus effect on the overbite was also assessed. The results showed a statistical significance at five study levels (P < 0.05);,,,, however, no statistical significance was reported in one study (P > 0.05). A high statistical significance was also found at the meta-analysis level (P < 0.00001). All effects were in the negative direction [Table 5]. The studies assessing the interincisal angle showed extremely varied results and their assessment was not applicable in the current study. Anteroposteriorly, the current findings reported that there is no statistically significant restraining effect on the maxilla which was not consistent with the findings of the studies conducted by Karacay, Gunay, Bilgic, Aslan, Oztoprak, and Heinrichs. Despite the varied results in mandibular growth, none of the included studies reported a significant anteroposterior effect on the mandible which also supports the current findings. Karacay, Bilgic, Aslan, and Heinrichs  reported an improvement in the maxillary/mandibular anteroposterior skeletal relationships, but the included studies showed varied results and thus their assessment was not applicable in this study. Vertically, Hanoun et al. were the only ones that reported a statistically significant effect of the Forsus in reducing the MPA. This was not supported by the current findings as no significant effect on the mandible in the vertical dimension was found in this study. A highly significant increase in the occlusal plane was reported by Karacay, Gunay, Oztoprak, and Aslan  and supported by the current findings. Almost all included studies, except for Hanoun et al. had similar appliance insertion paths from the upper first molar headgear tube to the lower archwire between the first bicuspid and canine. Thus, the increase in occlusal plane could be considered true and might be due to the effect of the appliance on the upper posterior teeth. The latter two findings in the current study indicated that the Forsus appliance had no deleterious effect on the skeletal vertical dimension. The dentoalveolar effects of the Forsus appliance showed a highly significant effect in protruding, proclining, and intruding lower incisors. Such findings were in consistent with all studies included that assessed such variables, even though some studies added negative torque to the lower archwire  or in the bracket ,, to control lower incisor proclination. Thus, it can be highlighted that other approaches should be planned for controlling lower incisors when using the Forsus appliances. In support of the current findings, all studies included ,,,,,, reported a significant retroclination effect of the Forsus appliance on the upper incisors. According to the current findings, the Forsus appliance might have an effect on the facial esthetics. This finding should be considered when selecting Class II malocclusion patients with obtuse nasolabial angle. In support with Karacay, Bilgic, Gunay, and Aslan, the Forsus appliance was also found to have a highly significant effect in intruding upper molars. The intrusive effect on the posterior teeth explains partly the effect of increased occlusal plane reported in this study. The molar intrusion might also help in the counterclockwise rotation of the mandible which aids in the correction of Class II malocclusion. The majority of the included studies reported that Class II molar correction using Forsus ™ appliance was derived from dentoalveolar horizontal movements which is in support with the findings of the current study. Most of the included studies ,,,,, reported a significant decrease in overjet which was also found in the current study. The current study also reported a significant decrease in overbite in support of Karacay, Gunay, Bilgic, Oztoprak, and Heinrichs. Soft tissue changes were not assessed in the current study. However, Karacay  and Oztoprak  reported a significant effect of Forsus appliance on the protrusion of the lower lip when compared to a control group. On the other hand, Bilgic  and Oztoprak, reported a significant effect of Forsus appliance on the retrusion of the upper lip when compared to a control group. Another variable that was also not assessed in this study due to insufficient evidence was the changes in the maxillary arch width. Expansion of the upper arch with a significant increase in the intermolar width was reported by Karacay. A transpalatal bar was thus indicated to help counteract this buccal tipping and expansion, and the opposite was true in cases with narrow arches or slight crossbites. The quality of the included studies implies a moderate-strong level of recommendation. Thus, results of the current study can be applied to patients in most circumstances. However, further research if performed at higher quality level such as randomized controlled clinical trials with blinded strategies are likely to have an impact on our confidence in the estimate of effect and may change the estimate. Insufficient evidence was found to assess the following variables; maxillary/mandibular anteroposterior relationship, horizontal movement of upper incisors, and the interincisal angle. We would like to express their sincere gratitude to Dr. Amal Abushal for her contribution in the review. We also would like to thank Dr. Soha Alzain and Reham Alsamman for their contribution in data collection. Proffit WR, Fields HW, Sarver DM. Contemporary Orthodontics. St Louis, Mo: Mosby Inc; 2012. Aras A, Ada E, Saracoǧlu H, Gezer NS, Aras I. Comparison of treatments with the Forsus fatigue resistant device in relation to skeletal maturity: A cephalometric and magnetic resonance imaging study. Am J Orthod Dentofacial Orthop 2011;14:616-25. McSherry PF, Bradley H. Class II correction-reducing patient compliance: A review of the available techniques. J Orthod 2000;27:219-25. Bertl MH, Mandl C, Crismani AG. Do functional orthodontic appliances stimulate mandibular growth in class II division 1 patients? Int J Stomatol Occlusion Medicinent2011;4:45-53. Cozza P, Baccetti T, Franchi L, De Toffol L, McNamara JA Jr. Mandibular changes produced by functional appliances in Class II malocclusion: A systematic review. Am J Orthod Dentofacial Orthop2006;129,599e1-12. Karacay S, Akin E, Olmez H, Gurton AU, Sagdic D. Forsus Nitinol Flat Spring and Jasper Jumper corrections of Class II division 1 malocclusions. Angle Orthod 2006;76:666-72. Cacciatore G, Ghislanzoni LT, Alvetro L, Giuntini V, Franchi L. Treatment and posttreatment effects induced by the Forsus appliance: A controlled clinical study. Angle Orthod 2014;84:1010-7. Zymperdikas VF, Koretsi V, Papageorgiou SN, Papadopoulos MA. 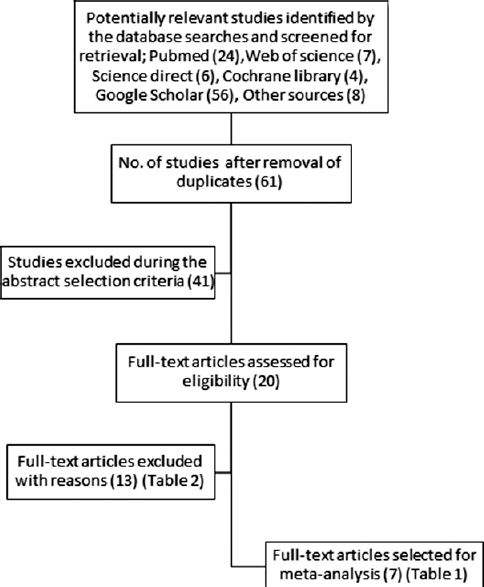 Treatment effects of fixed functional appliances in patients with Class II malocclusion: A systematic review and meta-analysis. Eur J Orthod 2016;38:113-26. Celikoglu M, Buyuk SK, Ekizer A, Unal T. Treatment effects of skeletally anchored Forsus FRD EZ and Herbst appliances: A retrospective clinical study. Angle Orthod 2016;86:306-14. Bilgic F, Hamamci O, Basaran G. Comparison of the effects of fixed and removable functional appliances on the skeletal and dentoalveolar structures. Aust Orthod J 2011;27:110-16. Cacciatore G, Alvetro L, Defraia E, Ghislanzoni LT, Franchi L. Active-treatment effects of the Forsus fatigue resistant device during comprehensive Class II correction in growing patients. Korean J Orthod 2014;44:136-42. Heinrichs DA, Shammaa I, Martin C, Razmus T, Gunel E, Ngan P. Treatment effects of a fixed intermaxillary device to correct class II malocclusions in growing patients. Prog Orthod 2014;15:45. Shen G, Hägg U, Darendeliler M. Skeletal effects of bite jumping therapy on the mandible-removable vs. fixed functional appliances. Orthod Craniofac Res 2005;8:2-10. Tarvade SM, Chaudhari CV, Daokar SG, Biday SS, Ramkrishna S, Handa AS. Dentoskeletal comparison of changes seen in Class II cases treated by Twin Block and Forsus. J Int Oral Health 2014;6:27-31. Turkkahraman H, Eliacik SK, Findik Y. Effects of miniplate anchored and conventional Forsus Fatigue Resistant Devices in the treatment of Class II malocclusion. Angle Orthod 2016;86:1026-32. Aslan BI, Kucukkaraca E, Turkoz C, Dincer M. Treatment effects of the Forsus Fatigue Resistant Device used with miniscrew anchorage. Angle Orthod 2014;84:76-87. Bilgic F, Basaran G, Hamamci O. Comparison of Forsus FRD EZ and Andresen activator in the treatment of class II, division 1 malocclusions. Clin Oral Investig 2014;19:445-51. Gunay EA, Arun T, Nalbantgil D. Evaluation of the Immediate Dentofacial Changes in Late Adolescent Patients Treated with the Forsus (TM) FRD. Eur J Dent 2011;5:423-32. Aidar LA, Abrahão M, Yamashita HK, Dominguez GC. Herbst appliance therapy and temporomandibular joint disc position: A prospective longitudinal magnetic resonance imaging study. Am J Orthod Dentofacial Orthop2006;129:486-96. Aidar LA, Dominguez GC, Yamashita HK, Abrahão M. Changes in temporomandibular joint disc position and form following Herbst and fixed orthodontic treatment. Angle Orthod 2010;80:843-52. Hanoun A, Al-Jewair TS, Tabbaa S, Allaymouni MA, Preston CB. A comparison of the treatment effects of the Forsus Fatigue Resistance Device and the Twin Block appliance in patients with class II malocclusions. Clin Cosmet Investig Dent 2014;6:57-63. Heinig N, Göz G. Clinical application and effects of the Forsus spring. A study of a new Herbst hybrid. J Orofac Orthop 2001;62(6):436-50. Servello DF, Fallis DW, Alvetro L. Analysis of Class II patients, successfully treated with the straight-wire and Forsus appliances, based on cervical vertebral maturation status. Angle Orthod 2015;85:80-6. Franchi L, Alvetro L, Giuntini V, Masucci C, Defraia E, Baccetti T. Effectiveness of comprehensive fixed appliance treatment used with the Forsus Fatigue Resistant Device in Class II patients. Angle Orthod 2011;81:678-83. Felty TL. The effectiveness of the Forsus (TM) fatigue resistant device: A systematic review: Temple University; 2012. Lagravere MO, Major PW, Flores-Mir C. Long-term skeletal changes with rapid maxillary expansion: A systematic review. Angle Orthod 2005;75:1046-52. Sharshar HH, El-Bialy TH. Cephalometric evaluation of airways after maxillary anterior advancement by distraction osteogenesis in cleft lip and palate patients: A systematic review. Cleft Palate Craniofac J 2012;49:255-61. Swiglo BA, Murad MH, Schünemann HJ, Kunz R, Vigersky RA, Guyatt GH, et al. A case for clarity, consistency, and helpfulness: State-of-the-art clinical practice guidelines in endocrinology using the grading of recommendations, assessment, development, and evaluation system. J Clin Endocrinol Metab 2008;93:666-73. Oztoprak MO, Nalbantgil D, Uyanlar A, Arun T. A cephalometric comparative study of class II correction with Sabbagh Universal Spring (SUS(2)) and Forsus FRD appliances. Eur J Dentistry 2012;6:302-10. Gao W, Li X, Bai Y. An assessment of late fixed functional treatment and the stability of Forsus appliance effects. Aust Orthod J 2014;30:2-10. Elkordy SA, Abouelezz AM, Fayed MM, Attia KH, Ishaq RA, Mostafa YA. Three-dimensional effects of the mini-implant-anchored Forsus Fatigue Resistant Device: A randomized controlled trial. Angle Orthod 2016;86:292-305. Giuntini V, Vangelisti A, Masucci C, Defraia E, McNamara JA, Franchi L. Treatment effects produced by the Twin-block appliance vs the Forsus Fatigue Resistant Device in growing Class II patients. Angle Orthod 2015;85:784-9.